The testes of the male spotted skunk "are most massive by late September." 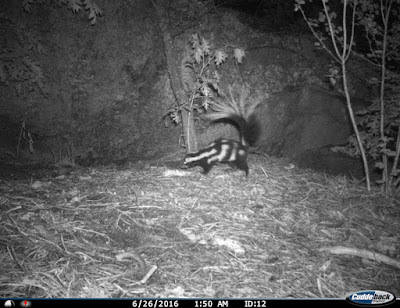 But it looks like the fun has already started up on the ridge, where Western spotted skunks are exhibiting "courtship behavior," and maybe something more. 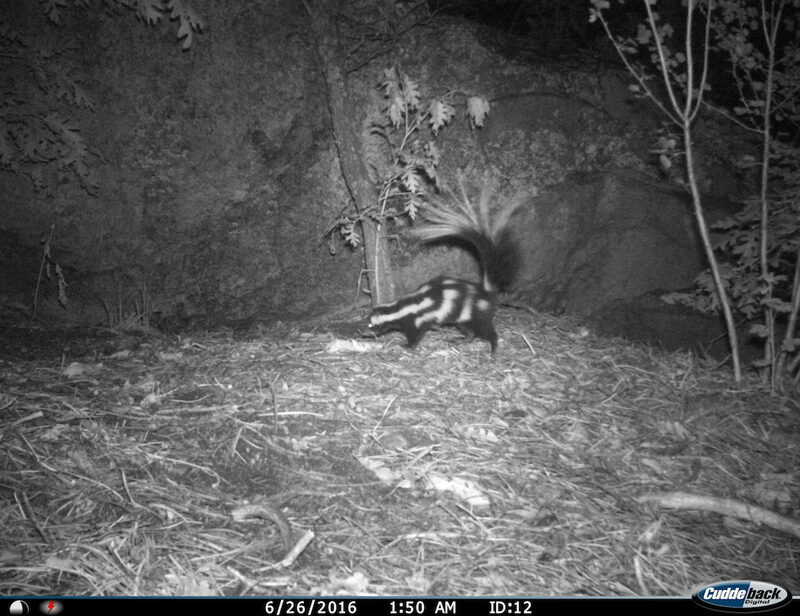 These little skunks (smaller than the more common striped skunks) like "arid, rocky and brushy canyons and hillsides," which pretty well describes where I live. 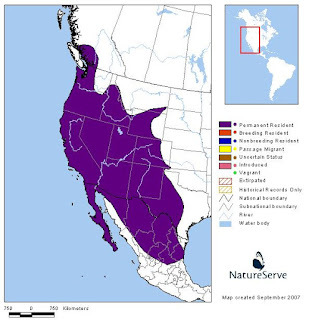 Range of the Western spotted skunk.